The Social is a beautiful Orlando venue because you’re so close to performers, you feel like you can actually feel everything they’re experiencing as they perform. I saw the National at the Social, and as the violin strings busted on the violin player’s violin, I felt like they were close to my face. 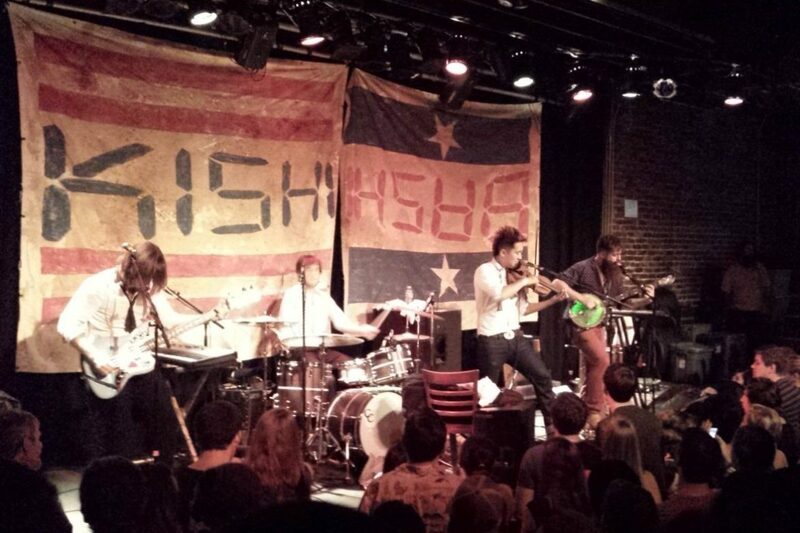 Kishi Bashi I saw there twice, and the fun intimate dance party vibe he create was AWESOME.If you like to dance along with your favorite bands in the most intimate of settings—check it out. If you enjoy bands before they’re big enough to sell out the Orlando Area—check it out. If you like bands like Kishi Bashi, the Stills, Novelle Vague and other smaller but amazing bands who are epic but not epic enough to sell out huge arenas, keep an eye on the calendar at the Social.org. You don’t find a cool band there EVERY WEEK, but every month or two, you’re bound to catch one. Enjoy the memories you’d acquire there! My sisters and I have a tradition of doing photo shoot pics every time we see a concert there. Their bigger, sister venue, is The Beacham. This is more clubish feeling and just bigger. Bands who can draw a bigger crowd will end up here frequently. I definitely would go to the Beacham for the band, not the locale.